David Yoo of Davey's Ice Cream has apparently "got the goods." And by goods, we mean Red Velvet Oreos mixed into ice cream. Probably best to stick with ice cream, though. 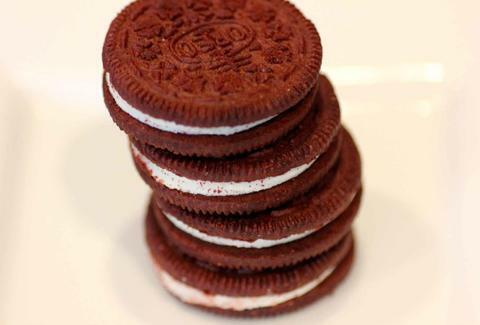 By the way, we tasted the new Red Velvet Oreos and the cream cheese-flavored creme is the star of the cookie. Tony Merevick is Cities News Editor at Thrillist and enjoys scoops -- both kinds. Follow him on Twitter @tonymerevick.